Travis and Erika Holmes start the Hunter Holmes Memorial to raise awareness for teen suicide. It was the last few minutes of the final soccer game of the 2017 season. 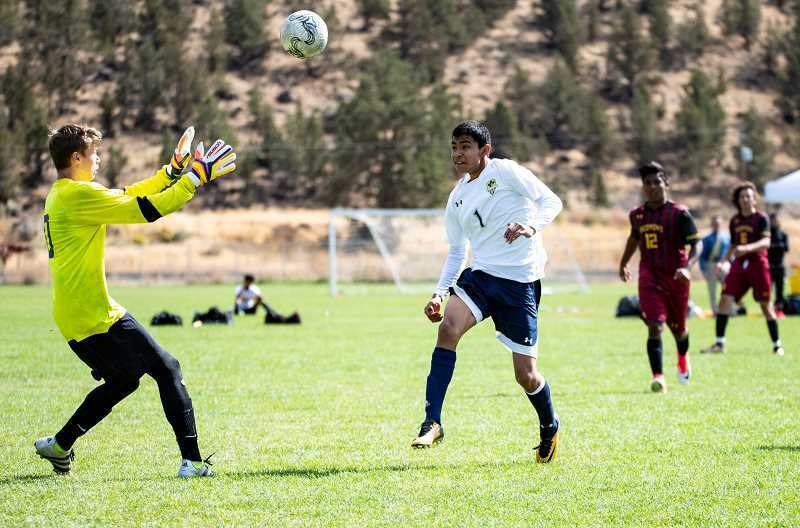 Redmond High School was down 10 to nothing, but the team's goalkeeper, 16-year-old Hunter Holmes, wasn't about to give up. "There was a ball out in front that he went after within a group, and a guy was coming at full speed," recalls Hunter's father, Travis Holmes. "It was like the kid was almost trying to stop but didn't and clipped him. He came down on his knees, and his knee got Hunter right in the side of the head." Like had happened numerous times before in games, Hunter went down. The refs called a time out. His parents watched from the bleachers, eyeing the movements of the coach and the trainer. Then, they saw that Hunter was moving. He was OK.
Redmond High School lost the game and finished the season 0-12. But then, Hunter's headaches started, and he was diagnosed with a concussion. It wasn't his first concussion, he had suffered one a year before during a soccer game, but this one was different. The headaches were worse. He couldn't concentrate. Fifty-one days later, Hunter took his own life. Travis and Erika Holmes want answers. They want to know if maybe, just maybe, their son's concussions somehow altered his way of thinking. Maybe the headaches were too much to bear. Maybe it was that girl he had been talking to. Maybe he was distraught that his team had not won a single game. They don't know, but they do know they want to prevent other teens from taking their own lives. Hunter was a leader, the captain of his golf and soccer teams, but he also knew how to have fun. "He was goofy," Erika says. "He was very friendly. He had a lot of friends." Hunter was a typical 16-year-old kid who hung out with his buddies, played video games, and kicked the ball around. He was the kind of kid who was nice to new students, and he didn't care what other people thought of him. And he loved his family. Hunter was close to his 18-year-old sister, Jordan, and his 9-year-old brother, Jacob. Following in his father's footsteps, Hunter played baseball, basketball and golf. But his real passion was soccer. He started playing soccer as a first grader, and his mom even coached his team. In late middle school, he gave up baseball — much to Travis' surprise — to pursue soccer. "With baseball, it was a little slower. With soccer, there was constant movement," Travis says. "He kept saying, 'I just want to play soccer.'" 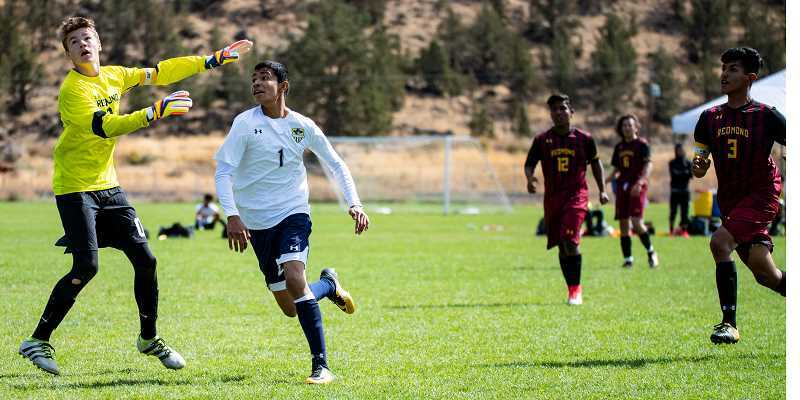 Hunter was the goalkeeper for the high school soccer team, which was comprised mostly of Latinos, who soon became like a second family. Having played sports his whole life, Hunter was used to getting knocked around, and it didn't seem to bother his parents, either. "I'm just a guilty dad at this. When your son goes down or something like that, it's not concern so much. It's like, 'Rub some dirt on it and get back up' kind of thing," Travis says. "It's just kind of how we are. It's like all right, all right, move along." Although Hunter had gotten knocked out a time or two, it wasn't until Oct. 6, 2016, during a high school soccer game that he was actually first diagnosed with a concussion. 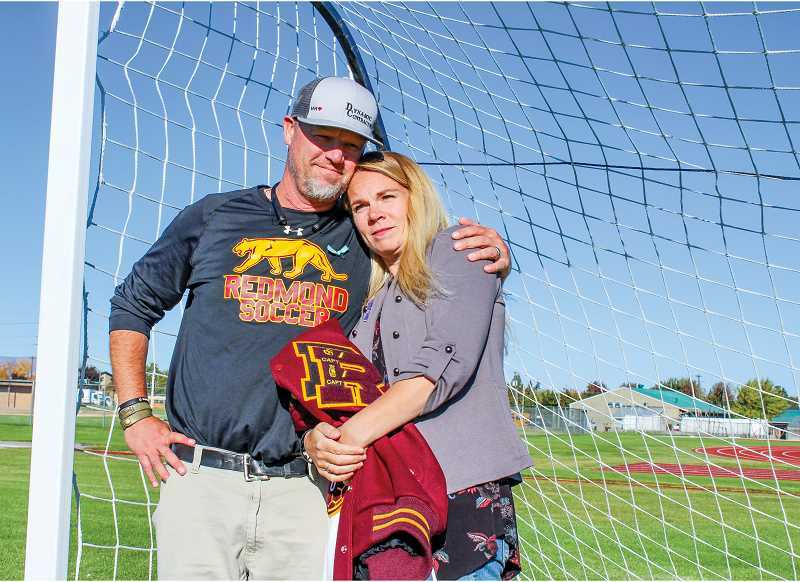 Redmond High School athletic trainer Cari Wood helped him get through it. "He was out for a couple weeks. He went through the protocol," Erika says. "He tried to go to school in the morning, and he would get really bad headaches, and he would sleep for the rest of the day and couldn't concentrate and focus." His parents didn't notice any depressive signs, though, and Hunter seemed to have made a full recovery. Nearly a year later, though, during another soccer game, it happened again. It was Oct. 24, 2017, when the Bend High player hit Hunter in the right temple with his knee. Again, Wood worked with him, going through the concussion protocol. "The last one that he got was definitely the concussion that took time to even get back in school," Travis recalls. Headaches and trouble focusing often sent Hunter home early from school, but after some time had elapsed, his symptoms improved, things seemed to have turned to normal, and he passed the concussion protocol. He tried out for basketball, but he quit after the first week because he wanted to focus more on soccer and golf his senior year. He seemed to be back on track, until Dec. 14, 2017. It was a Thursday. Hunter had gone to school that day. "We noticed there was something bugging him," Travis recalls of that fateful day. "A teenager comes home, and there's something going on. Typically what that means is that he's kind of tired or whatever. We'd gone through this with him a million times." They asked him what was up. So, Travis and Erika took their youngest out to dinner with some friends, deciding to let Hunter cool down. They'd meet up later to figure out what was going on. Their daughter had just finished a class in Bend and was hanging out with friends that evening. They came home from dinner, walked in and found Hunter. He had taken his life. "Whatever he was dealing with that particular day was obviously life-altering," Travis says. Although they can't bring Hunter back, Travis and Erika want to share his story. They want to keep other families from suffering. After his suicide, donations came pouring in. They set up the Hunter Holmes Memorial Fund, a nonprofit organization for teen suicide awareness and sports concussions. They raised $10,000 at the Hunter Holmes Memorial Golf Tournament on May 12 at Meadow Lakes Golf Course in Prineville. A second golf tournament is already scheduled for May 18, 2019, which would have been Hunter's 18th birthday. They set up an annual scholarship for two high school seniors with the funds and installed the Safe Oregon app on Redmond School District Chromebooks. The money also covers suicide prevention speakers and a video encouraging kindness and empathy. Working with Wood, the athletic trainer, as well as a producer and RHS students, Travis and Erika produced the video, titled "Your Life Matters," that shares the message that everyone is fighting their own battle. Wood had seen a video that was shown to hospital employees in Cleveland, Ohio, about having empathy for their patients. "I thought it would be cool to make a video for teens that highlighted teen issues and would be relatable to them," she says. "The family and I met, and we wanted to get across a few messages: To have empathy toward all people because everyone is facing some sort of problem in their life, even if they don't show it. Always be kind." It shows typical high school scenes with teachers and students in their normal routines, but the words on the screen spell out what is really going on in those people's lives. One student doesn't feel safe at home. A teacher just learned his wife's cancer is back. One kid is terrified of his parents' reaction to his grades. One girl has learned to hide her depression, while another feels invisible. "On the outside, you may look OK, but you really don't know what's going on," Erika says. Wood said the video also relays this message: "If it is YOU that is facing a problem, it is 'OK to not be OK,' and you should reach out to someone for help. You don't have to pretend that you are OK if you are not." The intent, Wood says, was to act as a resource for people going through issues and pointing them to a suicide prevention resource. They posted the 4 1/2-minute video on social media, and it has been viewed more than 1 million times. 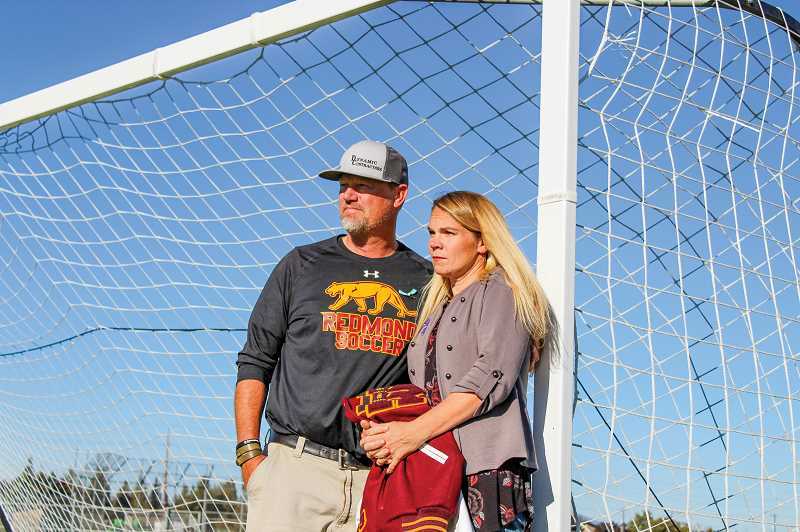 Travis and Erika have talked to doctors and athletic trainers about concussions but realize that nobody really knows how they affect the brain. "In a football game, if you bruise your hamstring, you can bruise it in a few different places to have a different kind of impact on how quickly you can heal, and just imagine the capacity of the brain," Travis says. He can't help but wonder if someday doctors will learn that getting injured in certain parts of the brain could lead to certain side effects. Whatever the case, Travis and Erika, along with Wood, want others to take concussions seriously. "Parents know their kids better than anyone," Wood says. "If ever your child is not acting how they normally do, or you sense something is not right, please act on that and reach out with questions and concerns." If a loved one is suffering after a concussion, look for signs of depression and stay close. "We had dealt with this thing so many times because he was just one of these guys that took failure hard," Travis says of Hunter. "He'd be down 15 to nothing and get super upset about a goal scored on him." When Hunter was in one of these moods, they'd give him some space rather than try to figure out what was wrong. "And it always worked out — except for this time," Travis says. The New York-based Solutions Journalism Network provided training in solutions-based techniques and support to participating journalists. Components of this project, which will include video and audio files, charts and graphs, will be hosted online by both InvestigateWest (http://www.rattledinoregon.org) and the Portland Tribune (http://www.portlandtribune.com). The "Your Life Matters" video can be viewed online: https://vimeo.com/290584244 and https://www.youtube.com/watch?v=r6tesd1v8IM.